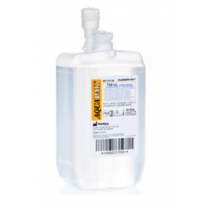 Pre-filled and ready-to-use sterile water for inhalation is rendered sterile meaning it's guaranteed that the water has undergone a series of processes to be void of microorganisms. 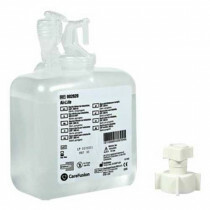 Sterile water is bacteriostatic to prevent cross-contamination and therefore cannot transfer pathogens. Sterility of water will prevent sickness, infection and disease. 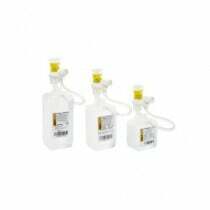 It's packaged to maintain sterility and minimize contamination between caretaker and the patient receiving inhalation treatment. 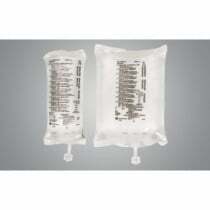 Sterile water is available in an assortment of sizes of bottles, vials or bags for respiratory therapy. 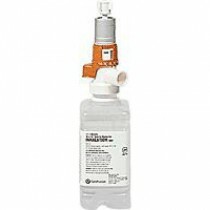 It connects directly to an adapter to maintain sterility to provide respiratory therapy using a inhalator or nebulizer for heated or cooled high output aerosol humidification treatment. Individuals using an oxygen concentrator who need long-lasting moisture for patient comfort will use a bubble humidifier that's filled with sterile water. Make sure to read care instructions of your unit since many devices require the use of ONLY sterile water for these purposes. Also, nebulizers require regular maintenance and some models recommend ONLY sterile water to clean and disinfect the unit. 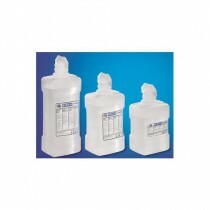 Store unused sterile water containers in 25°C/77°F.